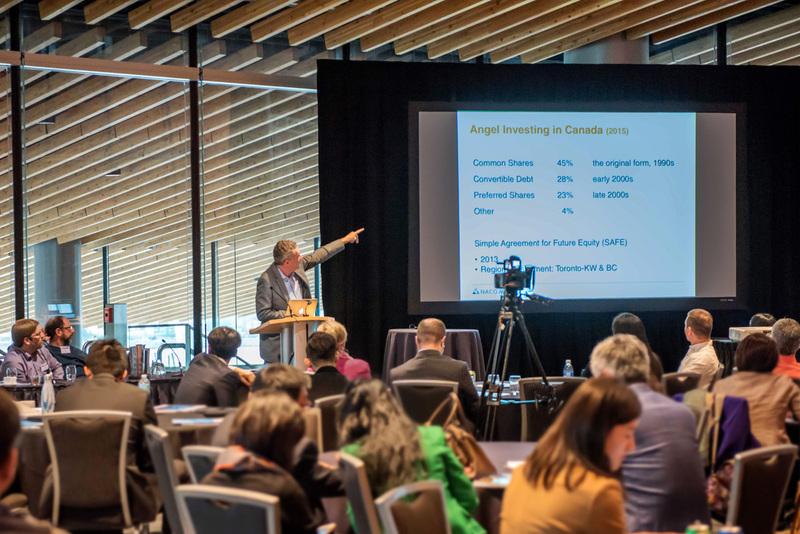 On March 16th 2017, Pieter Dorsman, CFO & Director of angel investment fund E-fund, and Boris Mann, VP & Founding Director of Open Angel Society Canada co-hosted a panel discussion entitled “Which Term Sheet is Right For You?” in partnership with NACO (National Angel Capital Organization of Canada). The event was a chance for a crowd of investors, entrepreneurs and mentors to discuss the importance of setting up term sheets that are appropriate for the Canadian market, and that will also serve to align the interest of both investors and founders. Early-stage startups in Canada have long felt the pinch of limited available risk capital when attempting to raise funds domestically. While more foreign investors are now turning their attention to Canadian startups, the majority of these investors tend to target mature companies into which they can inject large rounds of later-stage growth capital. This lack of available early-stage capital is ultimately crippling Canada’s startup ecosystem and contributing to a trickle-down effect that is stifling the potential for Canadian companies to achieve healthy exits further down the line. “From founders, the complaint we hear most often is that few local investors lead deals,” says Mann. The consequence of limited available early-stage capital in Canada is that founders of early-stage startups that are starved of growth capital may overlook fundamental details when entering into agreements with investors. One crucial aspect that founders tend to cut corners on, says Mann, is nailing down high-quality term sheets that will appropriately align their interests with those of investors. “Without early-stage funding, founders can’t afford to hire lawyers and accountants, and are often forced to offer investors their own term sheets,” he explains. By failing to provide investors with professional-grade term sheets that are appropriate to their regional market, Canadian founders may be giving up more control than they are initially aware of, or unwittingly agreeing to terms that could deter later-stage investors. These issues are contributing to a tendency in the current Canadian market cycle for lukewarm exits, a prevalence of zombie companies, and a trend towards acqui-hires rather than outright acquisitions or exits. “The Canadian early stage funding community – from angels to accelerators that write cheques – need to write cheques on fair terms so we can grow the local community,” says Mann. “Simply put, we need to do better deals faster: deals that work for founders and investors alike,” adds Dorsman. Realizing that Canadian founders and investors have been expressing similar concerns regarding inappropriate term sheets, NACO has led an initiative to develop a set of standardized Canadian term sheets that will better align the interest of founders and funders. With input from Canadian angel groups VANTEC Angel Network, E-fund, and a team of lawyers and accountants, NACO has developed the Common Docs term sheets to serve as a guideline for both founders and investors. The intention is that they will cover 80% of the terms required to negotiate investments in 80% of early-stage investment scenarios. “The Common Docs will get more deals and better deals done, and provide education for the large crop of first-time founders that emerge every year,” says Mann. Launched on April 11th, the Common Docs will be available online to all founders and funders, free of cost. Aside from reducing the potential for friction between founders and investors during the negotiation process, the Common Docs will better position Canadian companies for future growth, protect the rights of investors as well as founders, and cover a variety of deal structures including common equity, preferred equity, and convertible debt. “Simplified, standardized term sheets will facilitate deal-making, reduce legal costs and enable funds to flow into companies faster,” says Dorsman.